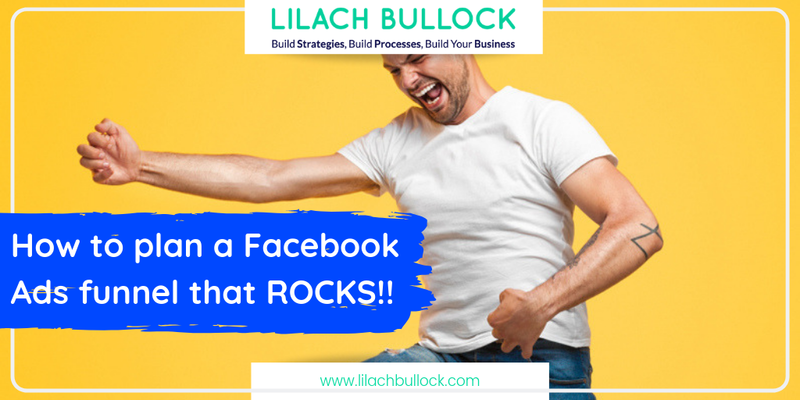 How to plan a Facebook Ads funnel that ROCKS!! Mastering the tools that help you make the right offer, to the right people. 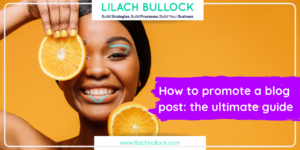 During the last few months, Facebook rolled out several types of ads that, if used properly, allow you to plan a powerful marketing system and help you in many ways, from building your brand awareness to convert one-time buyers into lifetime customers. 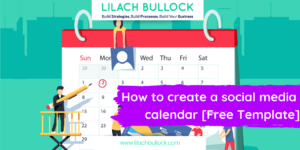 Today, I share a four-simple-steps strategy that you can use to empower your funnel through Facebook Ads hence driving your sales on autopilot! Let’s check them out. Before selling and even before asking for email or personal data, a good marketing funnel should be designed to promote free content, in order to reach new potential clients and inform them about your brand. By providing useful and interesting content to the right people, you will increase their trust in your brand, which is very important to reduce your marketing efforts during the subsequent stages of the sales process. First of all, I suggest creating a Lookalike Audience from a source audience, for example from your customers. You can do so by connecting to your Facebook Ad account. 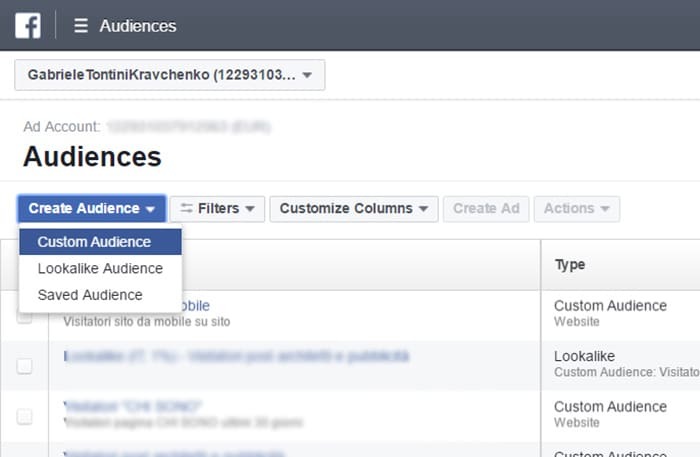 Go to your Audiences and click on “Create Audience” button – “Custom Audience”. 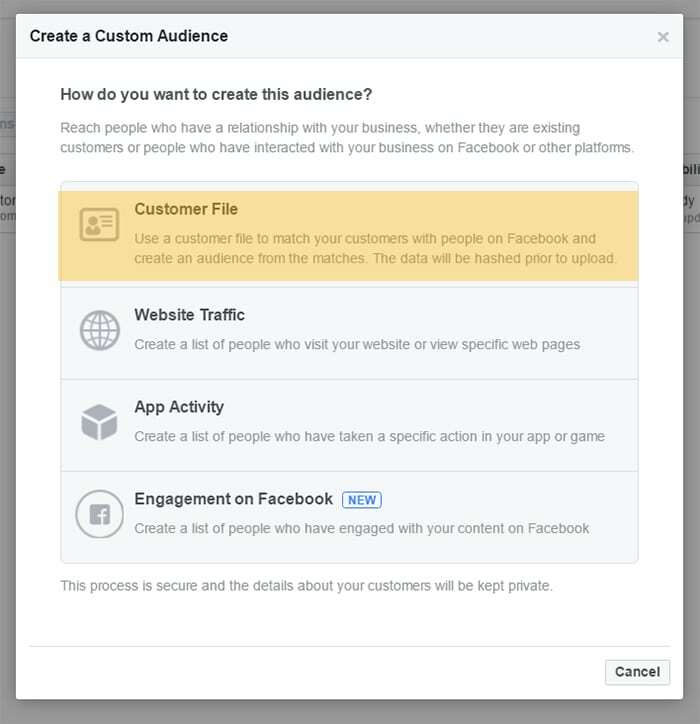 When the new window opens up, use a customer file as the source for your audience. Then, upload a CSV or text file that contains your customers’ data, label your audience and click on the “next” button. 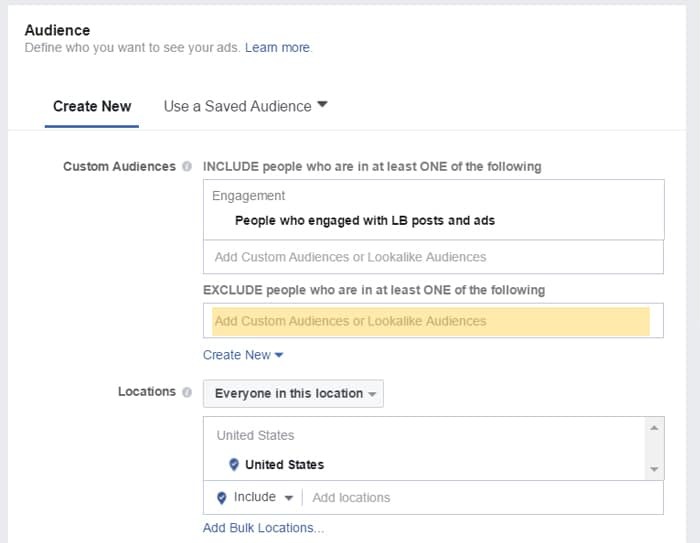 When Facebook creates your audience, you can expand your reach. 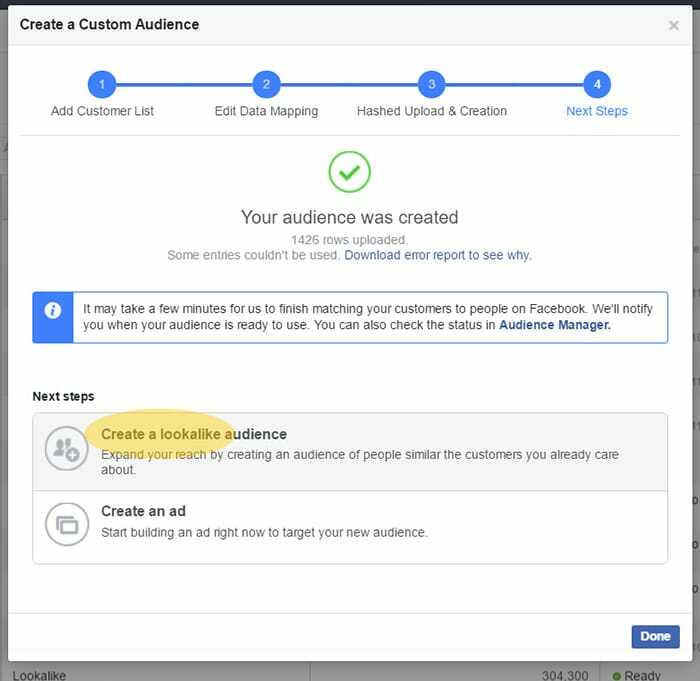 Click on “create lookalike audience” and you are almost done. 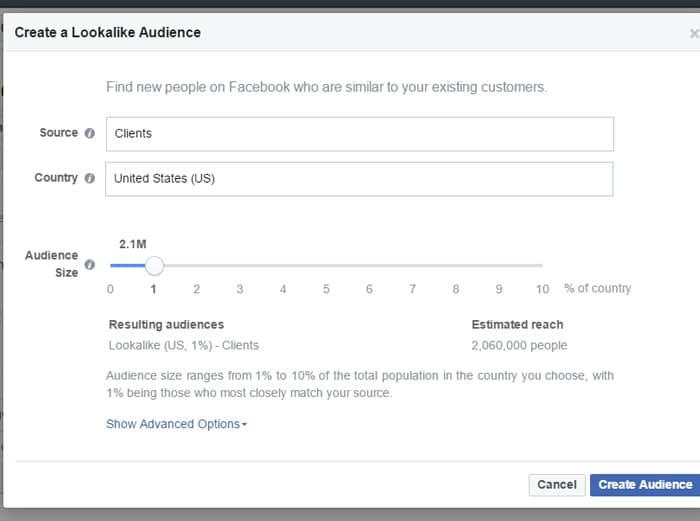 Select the country of your new lookalike audience and define its size, as expressed in percentage of Facebook users who are most similar to your seed audience. When you define the right audience for your ads, you can run many types of campaigns. For example, you can promote content that helps your clients solve a problem through a Video Ad. People like videos. They really engage them. …or even an ordinary post from your Facebook Page! Remember that the objective, here, is not that of plain “selling”. 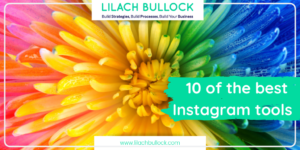 Rather you are trying to position your brand in people’s mind and reach new Facebook users so that they are more likely to give you their data for subsequent contacts. Once people know your brand, it is easier to ask for their contacts. By following this “slow approach” formula, you are going to get closer to the customer by building confidence and trust first. 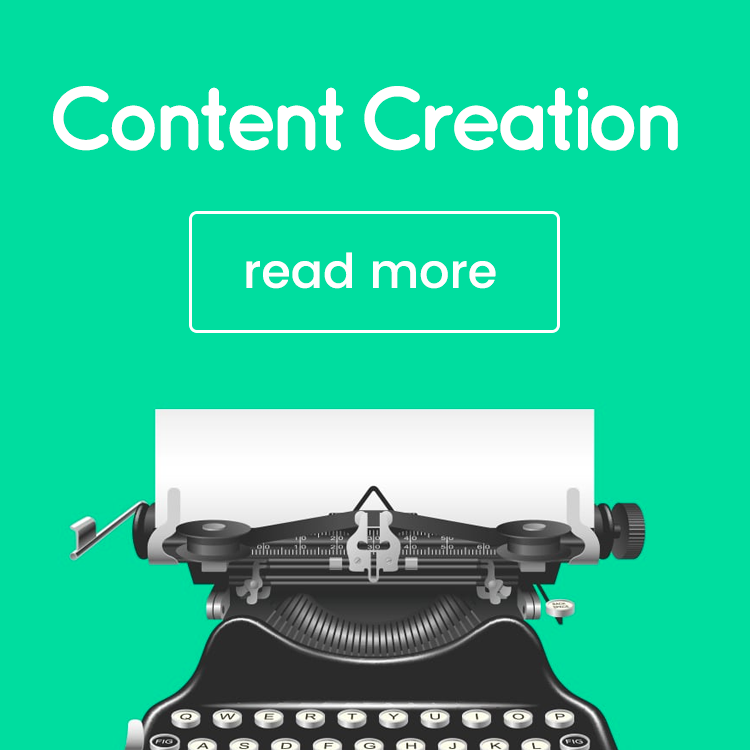 At this stage, you need to build a Custom Audience of people who visited your website or engaged with your content, in order to reach them later with your lead generation campaign. In addition, you should exclude from your target audience people who already subscribed to your list. How to do it? 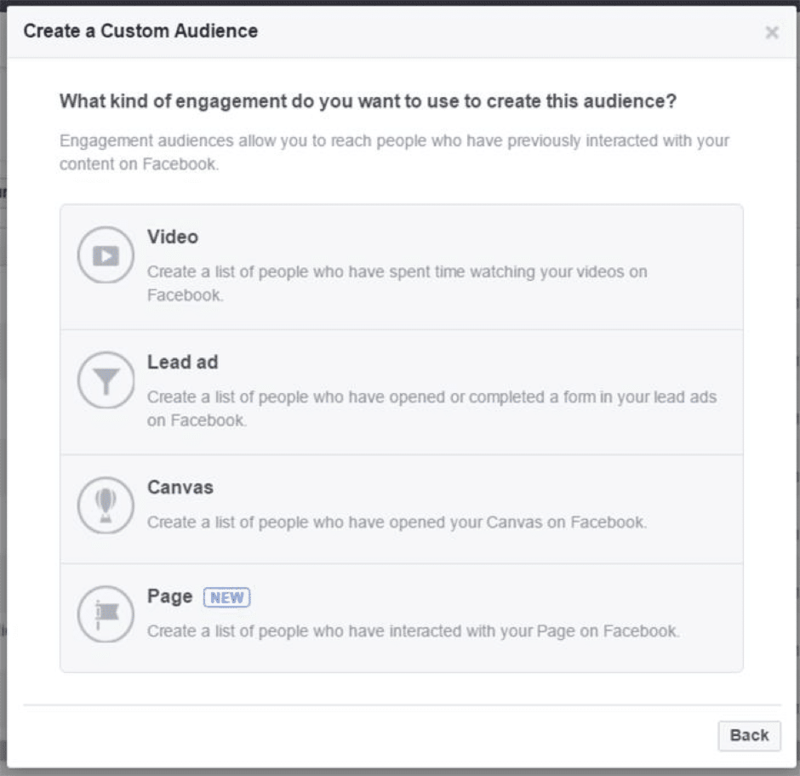 First of all, create a Custom Audience of people who engaged with your content on Facebook. By doing this, you can create a list of people who watched your video or interacted with your page recently. Before creating the Ad, build a custom audience of those who visited the redirect page after subscribing to your list (generally, a “Thank You” page on your website or blog). Now, exclude these people from the audience. 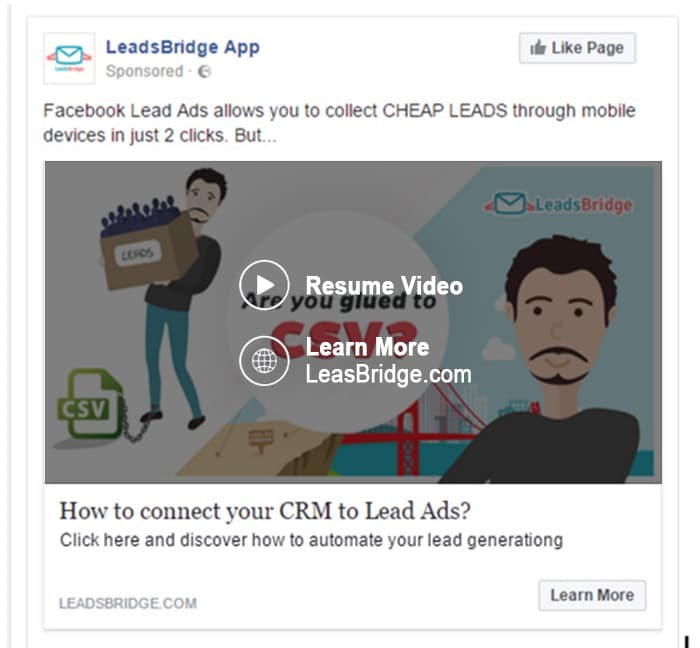 The best type of ad you can use to convert visitors into leads is Facebook Lead Ads, a tool specifically designed to generate leads. 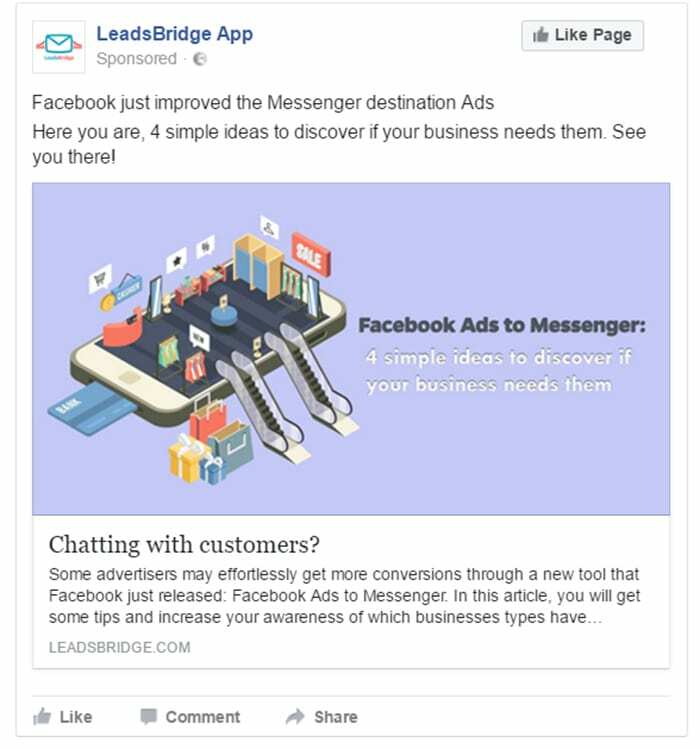 Facebook Lead Ads is optimized for mobile devices. 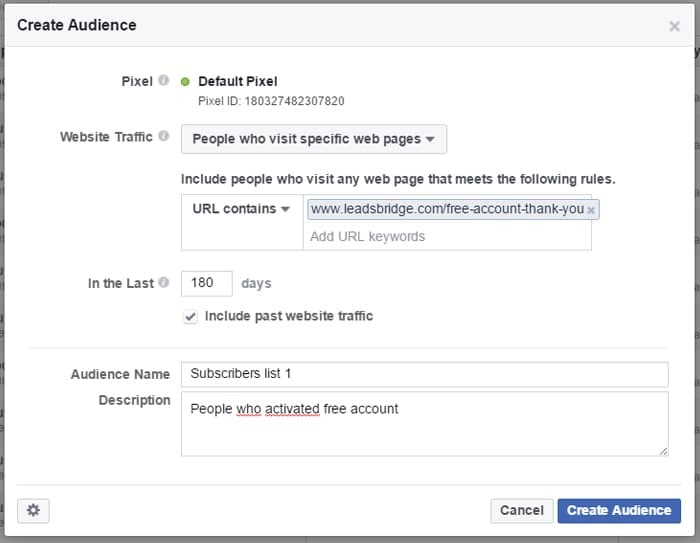 When users click on your ads on Facebook, they instantly visualize a registration form that fills their data, without leaving Facebook and without redirecting people on a website landing page. Moreover, users’ data are automatically added by Facebook (which extracts them from their personal profiles). 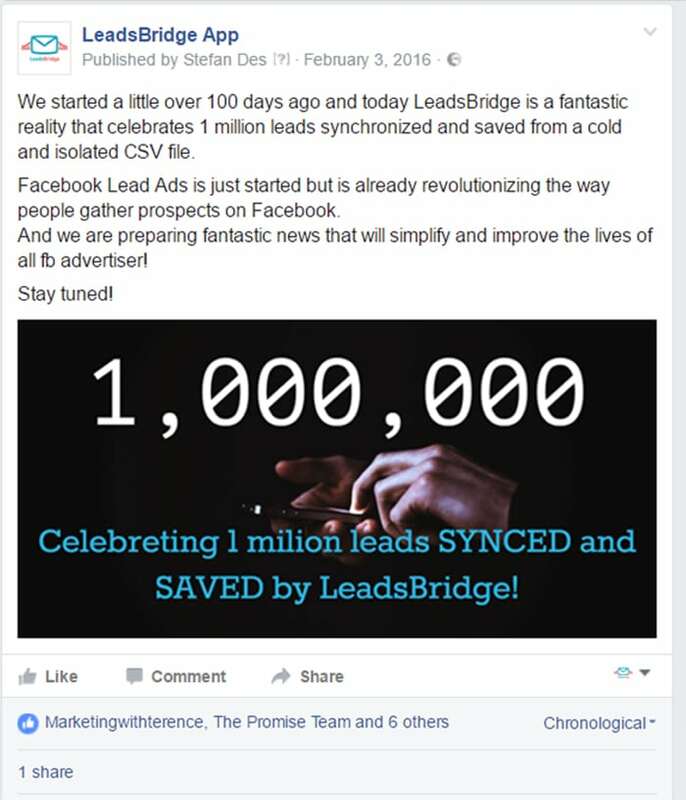 For these reasons, conversion rates obtained via Facebook Lead Ads will leave you astonished, there is no other technology like this in the market. 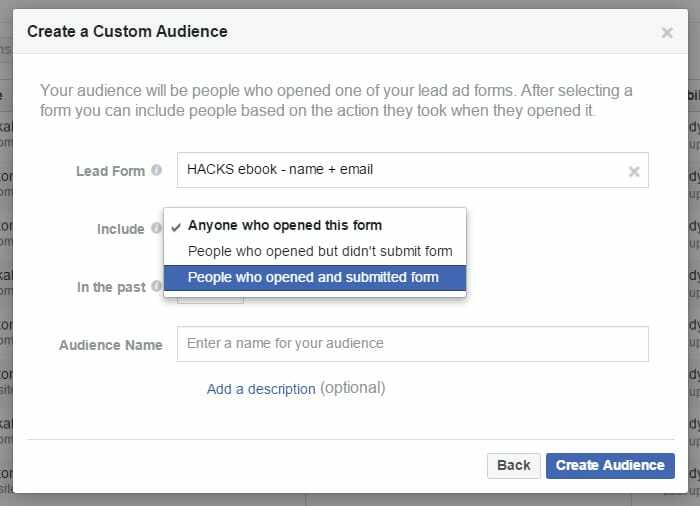 The only problem with Lead Ads is that Facebook stores collected leads into a CSV file, so you can’t send users a welcome mail or call when the lead comes in. 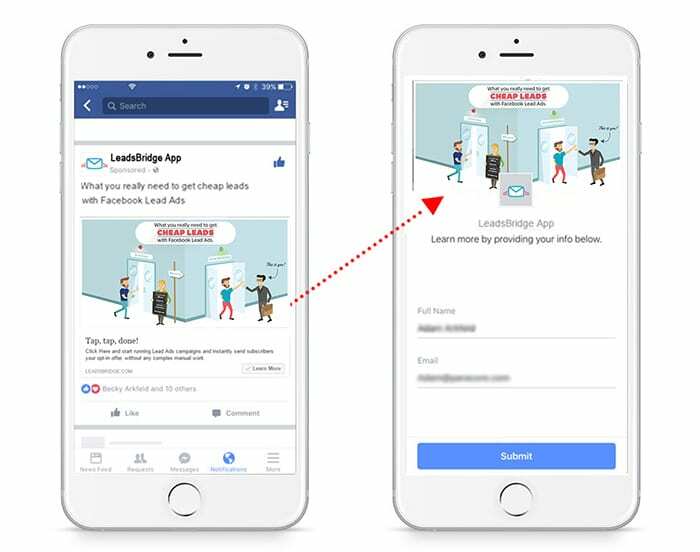 However, you can automate your follow-ups by syncing Lead Ads to your email marketing software, autoresponder or CRM, thanks to Facebook Lead Ads sync. Here is a quick video that explains how it works. Click here to learn more about this advanced Facebook marketing automation. At this point, part of your leads probably purchased your services and products. 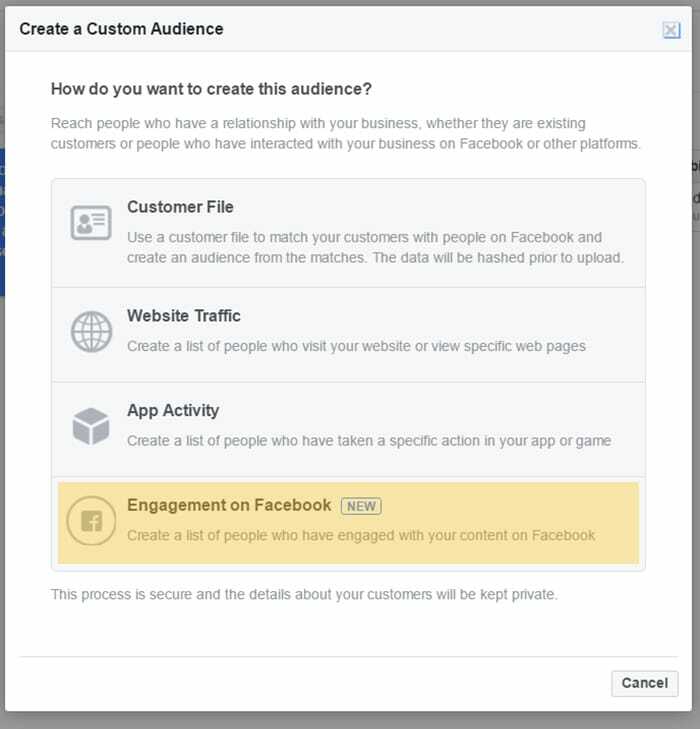 You need to exclude them from the custom audience of people who will see your front-end offers on Facebook (this prevents you from wasting money, as you will show your ads only to the right people). Depending on your market, the front-end offer may not be required (for example, if you sell houses or cars). In such cases, you may move directly to step 4. 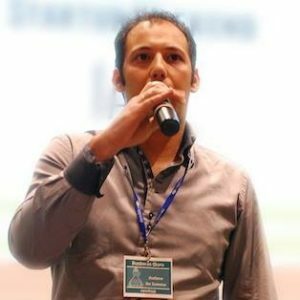 You need to create a custom audience of people who opted-in without buying anything, in order to create marketing campaigns for front-end offers. 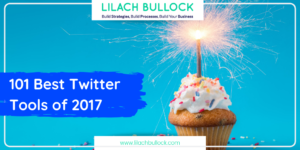 Go to your ad account, and build a new audience of people who engaged with your content on Facebook. 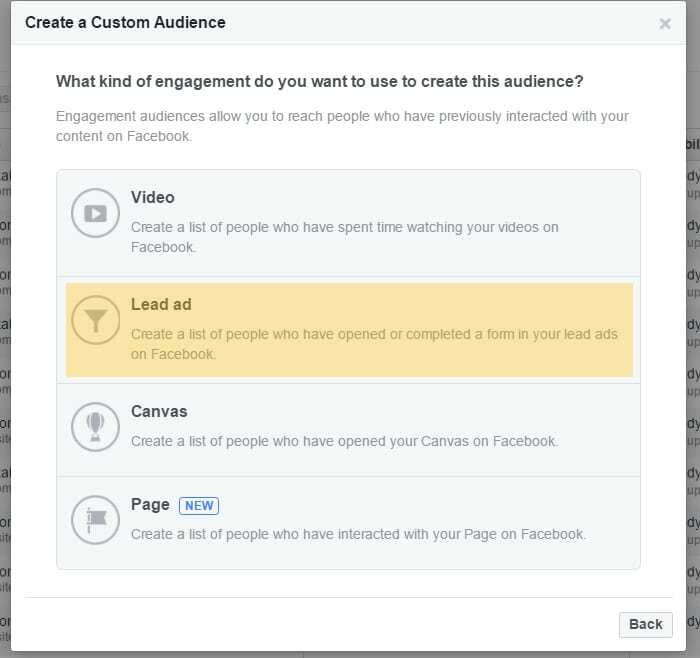 Then, create a list of people who interacted with your Facebook Lead Ads. Finally, select those who opened and submitted the form. If you don’t have a fast-loading website optimized for mobile devices, I suggest you promote your front-end offer through a Canvas Ad. Canvas Ad is a type of ad that allows you to create beautiful and responsive landing pages optimized for mobile devices, thanks to a fast-loading technology that mobile users will certainly appreciate. 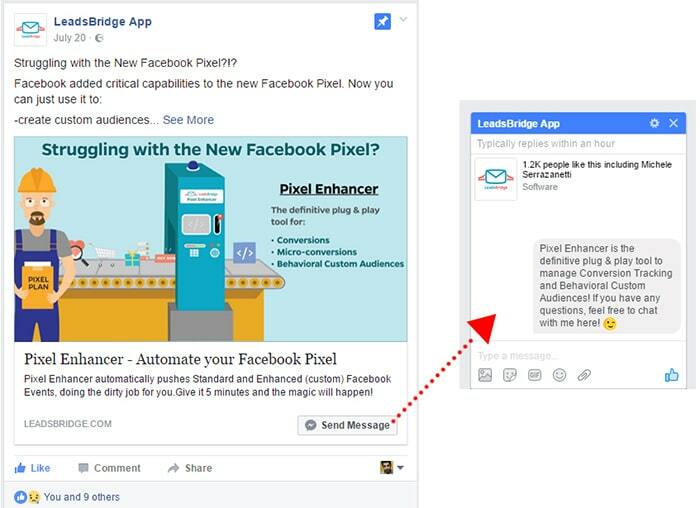 Facebook Canvas will bring your landing pages to a superior level in terms of engagement and conversions. If you don’t know how to set up such type of campaign, here is a detailed article that explains you the 13-steps-guide to achieve your first Canvas Ad. Finally, you need to build a custom audience of buyers in order to increase their lifetime value by offering upsells, down sells and backend offers. There are many ways to create this type of audience. If you installed the Facebook Pixel on your website, you will be able to track conversions from your website thanks to standard events. 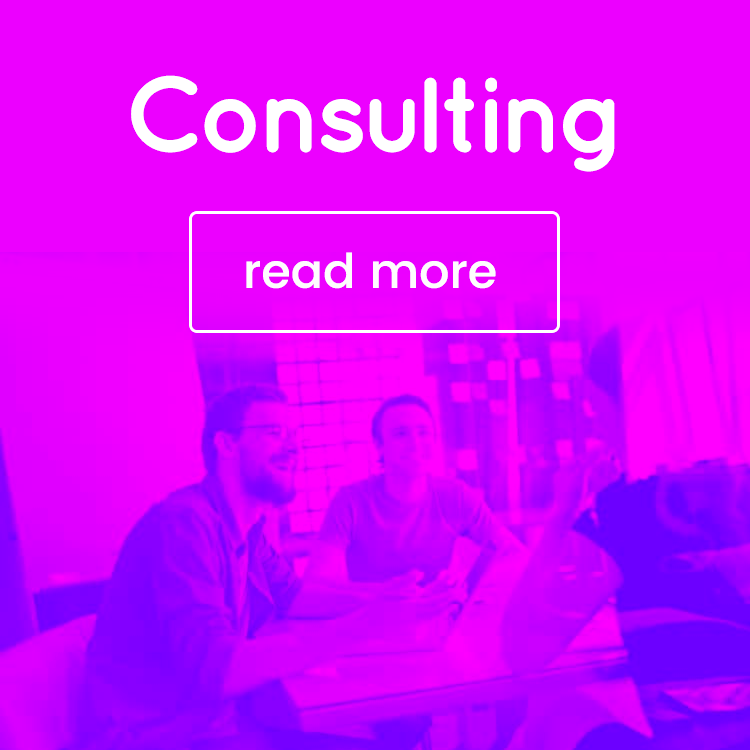 However, using it means you have to be a tech-expert or hire a developer to make changes to your website. 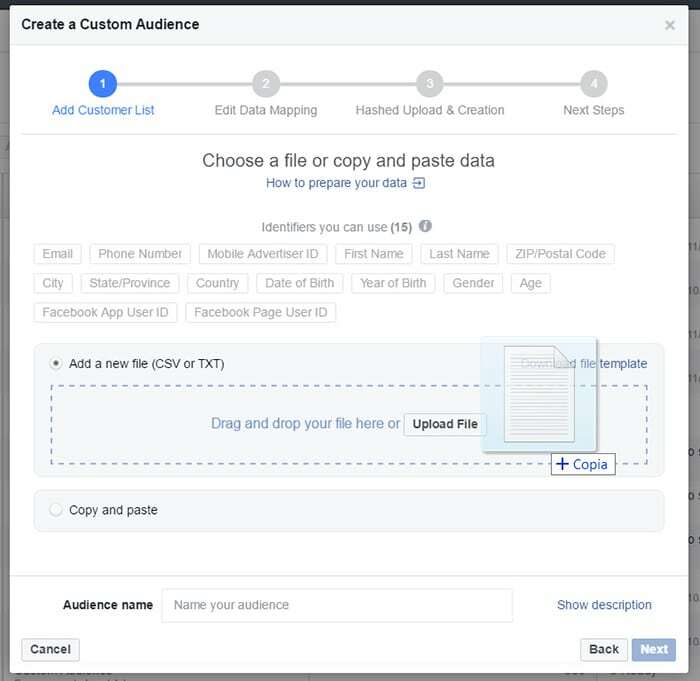 A simple way to create a custom audience of clients consists in uploading your clients’ data on Facebook, as I showed you previously when I created a lookalike audience from a list. Moreover, you can connect your email marketing software to Custom Audience Sync, a tool that syncs your CRM with Facebook and automatically updates your Custom Audiences while people to subscribe or unsubscribe from your lists, or step forward into your funnel. 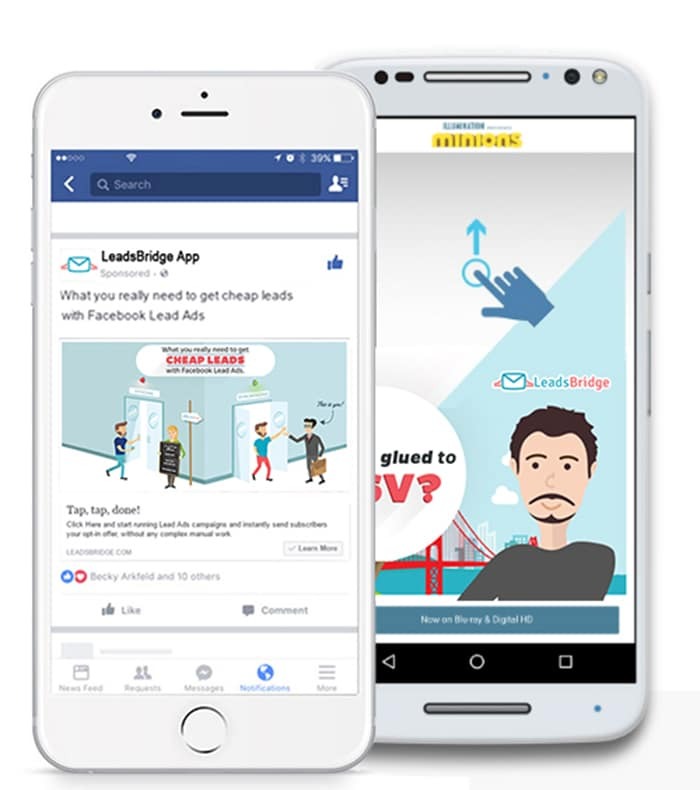 As an alternative to the traditional Facebook Ads to sales pages, Lead Ads and Canvas Ads, you can promote high-price products and services using Facebook Ads to messenger, a perfect tool to offer demonstrations and presentations of your exclusive products and services. 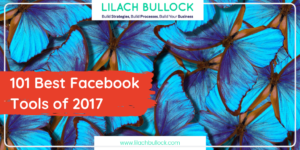 In this article, I shared with you a four-simple-steps strategy that, if used properly, will empower your marketing funnel through Facebook Ads. 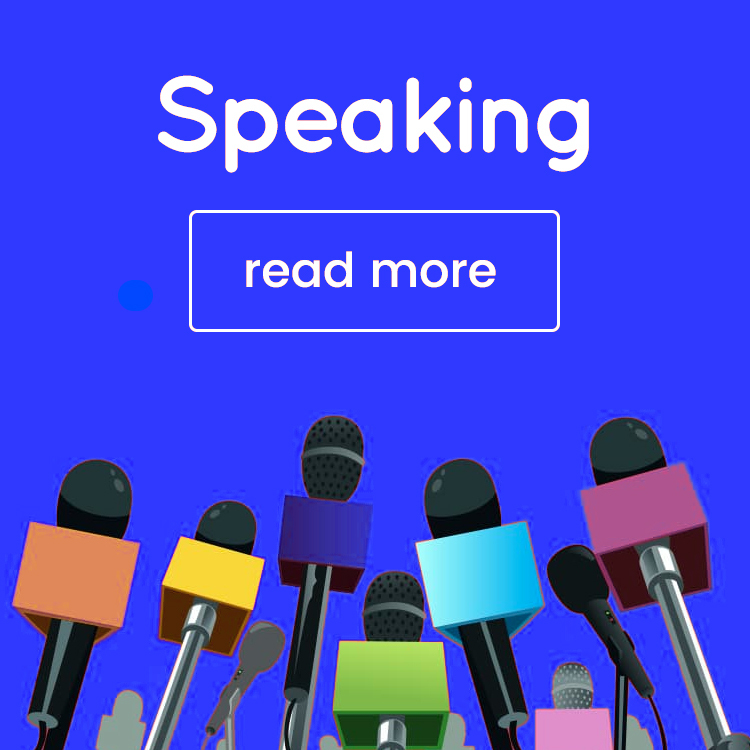 Actually, you may have noticed that this strategy can be used for various purposes, from increasing your brand awareness (step 1) to backend, high-ticket sales (step 4). You may have to run some tests, in order to customize your funnel depending on the products and services you provide. However, now you know exactly which tools you could use and why. Did you enjoy this post? Feel free to share your opinion by leaving a comment below!